A mattress comparison is a method of pitching one or more mattresses up against the other to see which one offers a better product for a similar price. This does not say that one mattress is more ‘comfortable’ than the other for the end user but it should be the initial task of whittling down the choice from 4000 or so mattress models to about ten and then to your final three. 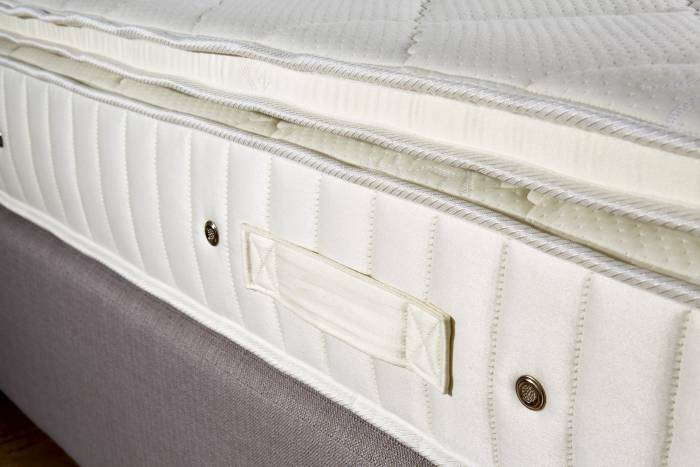 Let us guide you with how to effectively compare mattresses. You do not even have to leave the comfort of your armchair to buy a mattress. These days with the awesome power of the internet this can be done in a few hours at home. Once you grasp the principle of comparisons it actually becomes quite an enjoyable experience! This section is based on real life examples and we are using Dreams, Bensons for Beds, John Lewis and Furniture Village as the retailers to realistically demonstrate how to compile a mattress comparison. In the following example, we make no suggestion that there is anything wrong whatsoever with any of these retailers or manufacturers mentioned. What is the most you will pay for your dream mattress? How much should you spend is discussed in detail here. For this example, we have set our budget at £1500. This is no small amount (but not an excessive amount either) but we know that this should get you a very well made, and well-constructed mattress. We are initially going to look at Dreams / Bensons /Furniture Village / John Lewis to see what they have to offer for a budget of around £1500. This will of course just be your starting point and no doubt further on you will be looking at other retailers to see if what you eventually find can be bettered. More on this later. The form below is a much-simplified version of what we ourselves use when looking at products from various manufacturers. It will tell you at a glance all the information you need to know and to whom to refer back to for more detail. The point of this valuable exercise is to quickly and effortlessly give you a starting point to show you what is actually out there for the price you are willing to pay. You may find that you don’t need to spend £1500 or conversely, you may find that what you see does not meet your requirement and you may have to up your ante! Remember, This is just the starting point so jot down the first ten products that fit into your budget trying to keep your choices relatively similar in price. This is to make you aware of what a particular budget can get you. For the sake of this example we have found our John Ryan Artisan Luxury Kingsize Mattress retailing at £1525 (Of course we have!) and we want to see if there is anything similar out there to compare it against – let us get Started. Bensons Claremont 2400 Includes Wool and Cotton 1329 ? *No actual price given on JL site: States this model is available between £1400 – £1600. So now you know what £1500 or so can get you – you need to remove about four or five models that may not be worth considering further, and itemise the remaining models as much as you can about the two most important factors springs and upholstery. Why did we remove the models we did? 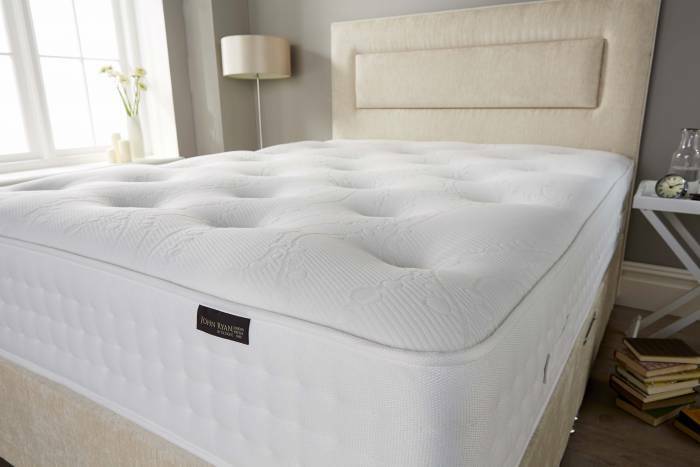 Dreams Resplendent: Memory foam mattress – Not comparable to the others in the selection. Dreams Lincoln: Inferior by comparison. John Lewis Angora: One Sided – Not comparable to the others in the selection. John Lewis - Vi- Spring Hanbury 1400 Calico Springs. Wool / Cotton / Horsehair - gsm Weights Unknown - Will have to contact retailer. Combined Upholstery Weight: Unknown. Will have to contact Retailer. 2 Rows Hand Side Stitched. Vi-Spring - Bedstead Realm 1326 calico Springs. Wool spring protector pad (assume 500 gsm) / 1,350 gsm wool and cotton / 300 gsm wool / 200 gsm bamboo / 900 gsm wool and cotton. = Combined Upholstery Weight: 3250 gsm. 2 Rows Hand Side Stitched. Vi-Spring - Baronet Superb 1326 Calico Springs. Horsehair (No weight - assume 1200 gsm) / 1000 gsm wool and cotton / 1200 gsm wool and cotton. = Combined Upholstery Weight: 3400 gsm. 2 Rows Hand Side Stitched. We now have four models all between £1400 – £1500. What we have to do now is to examine the Intrinsic Detail of the upholstery. The springs themselves are so similar (like for like) it does not become a consideration. The difference in spring counts are also so nominal at 150 actual pockets it will not affect the user in any shape or form. We can see from all the descriptions above that they all contain a similar degree of upholstery component: namely wool/cotton/horsetail and horsehair. This is what you would expect to find in mattresses retailing for this price. No polyester and no foams in any disguise whatsoever. We can also see that the combined upholstery weights differ between 3250 GSM and 4600 GSM. A difference of quite a substantial 1350 GSM. There is also a model with an unknown quantity of upholstery weight! This requires further information from the retailer – it may be that this upholstery weight will come in greater than 4600 GSM or it may turn out that it is less than 3250 GSM, in which case you will be able to discard that model also from your considerations. All we are looking at now is the upholstery everything between the spring unit and the fabric on top of the mattress. As of now, all you know about the above mattresses are that they contain similar components. You need to understand which components are considered ‘good’ and which are considered ‘less than good’. You can only do this if you know what’s what. We have created a Vi-spring comparison article to give you an idea of similar feels between our range and theirs. 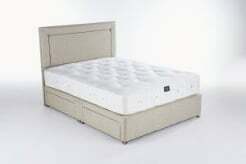 The following post on mattress upholstery will break down the upholstery elements contained in the mattresses above to show you that once you know the basics of upholstery layers it becomes an incredibly easy task to look at a mattress and decide whether it is worth investigating further. Need help with comparing mattresses? Get in touch with us on 0161 437 4419 for tailored recommendations.